Shawn has taken music classes at Macomb Community College. 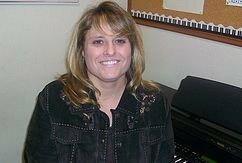 Shawn has been a piano instructor for 32 years and is a member of the American Guild of Music. Shawn is a junior choir director at Trinity Lutheran Church in Richmond for 12 years and enjoys playing for weddings and receptions.